The Community Pharmacy Residency program features a variety of innovative community pharmacy practice sites in the cities shown below. Detailed descriptions of these sites can be found further down on this page. 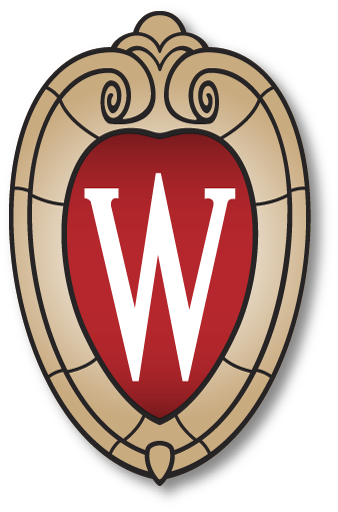 The University of Wisconsin-Madison School of Pharmacy is the administrative hub of the Program. Our program is accredited by ASHP and each site has its own unique National Matching Program Code Number. Hometown Pharmacy is a locally owned business with over 40 locations throughout Wisconsin that strives to provide leading edge pharmacy and complementary health care services. Beaver Dam Hometown Pharmacy offers many services one might expect from a community-based pharmacy such as specialty adherence packaging, immunizations, and MTM services but is also currently expanding clinical services. With a pharmacist health coach on staff, utilizing nutracueticals, a body composition machine, and an appointment based practice model we provide weight loss and wellness coaching programs to improve the health of our patients. We have also developed a collaboration with mental health nurse practitioners to provide access to psychiatric services and long acting injectable medications. Residents will have the opportunity to expand clinical services and establish collaborative practice agreements with local practitioners in the areas of tobacco cessation, substance abuse, and more. In addition, residents will utilize available opportunities at our other locations to further expand the scope of the experience. Boscobel Pharmacy is an independently owned pharmacy offering advanced patient care services. We employ an experienced staff of pharmacists, technicians, bookkeepers, and pharmacy assistants to assure a high level of patient care. Our patient care services include synchronized pick up, medication management, new to therapy follow up, immunizations, sterile and non-sterile compounding, and full line DME including diabetic shoes and compression, CPAP, oxygen, enteral care provision. We maintain several collaborative practice agreements and work closely with our local clinic and hospital providing various forms of consultation. We look forward to training the next generation of community pharmacists and accept students from the University of Wisconsin-Madison, Concordia University, and University of Iowa. Hayat Pharmacy is a Milwaukee-based independent pharmacy with over 10 locations. Hayat Pharmacy is focused on patient adherence, in-person medication therapy management (one-on-one medication education with a pharmacist) and medication synchronization through our Simplify My Meds program. Our pharmacists work collaboratively with other memebrs on healthcare team. Hayat Pharmacy is a nationally-recognized leader in the field of innovative medication management. We are dedicated to improving the health outcomes of patients with chronic conditions. Our award winning adherence programs allow us the flexibility to implement optimized programs to meet our patients’ needs while delivering unmatched local patient fulfillment. The Two Rivers Medicine Shoppe Pharmacies consist of two integrated practice sites: a community-based pharmacy, and an office-based pharmacy specializing in medication therapy management, compounding and collaborative practice with an independent physician. The constant in this practice has been a commitment to patient focused pharmacy care recognized on a state and national level for innovation. Pioneering work with such quality-based program initiatives as the Wisconsin Pharmacy Quality Collaborative, HealthMapRx and Foundation Care has served to develop and sustain this care model. Recently re-engineered, the facility design/workflow has served as prototypes for the pharmacy profession. Three pharmacists and 12 pharmacy technicians provide staffing in these integrated sites. The Two Rivers Medicine Shoppe Pharmacies have been involved in resident training since 1999. Streu’s Pharmacy Bay Natural is an independent community pharmacy practice since 1954. With the marriage of traditional medicine plus natural options, our nutritionist, two registered nurses, and eight pharmacists are health coaches who offer a balanced approach to helping patients achieve their personal best. Streu’s Pharmacy is divided into three departments: a retail pharmacy, long term care pharmacy, and Bay Natural store. One of the most unique aspects of our site is that the owners work next to you in the workflow; two of them are staff pharmacists and the other one is a nurse. As a resident, there will be opportunities to participate in immunizations, disease states screenings such as blood pressure and cholesterol, comprehensive medication reviews (site is WPQC accredited with 2 certified pharmacists and 3 certified technicians), and giving presentations to the public and other health care professionals using our on site classroom. In addition, residents will get to work on projects to help expand the field of community pharmacy such as blister packing for the general public using the state of the art Medicine-On-Time system and expanding IV compounding to home fusions. The Pharmacy at Southwest Health is located within Southwest Health, a 25 bed critical access hospital. We provide a variety of services in the pharmacy including Med Sync, compliance packaging, free delivery, immunizations, our meds to beds program and a variety of MTM services. We staff the pharmacist-run Anticoagulation Clinic, a Chronic Care Management service with a focus on diabetes, and an employee MTM clinic. Our staff looks forward to bringing in motivated pharmacists who look to improve and expand our current services which we continue to do through precepting students from different pharmacy schools and our residency program. Residents are expected to practice in all the pharmacy services we offer as well work on interdisciplinary teams at Southwest Health, such as the Antimicrobial Stewardship team, and others. The AIDS Resource Center of Wisconsin (ARCW) Pharmacy, located in Madison, Wisconsin, is part of an integrated health delivery organization dedicated to meeting all of the medical, social, dental and behavioral health needs of people living with HIV throughout the state of Wisconsin. Pharmacists practicing at ARCW are part of a NCQA recognized patient-centered medical home care team. Pharmacists work out of the outpatient pharmacy and participate in medication management of primary care, HIV/HCV infection, HIV prevention and sexually transmitted disease through patient counseling, collaborative practice agreements, telehealth and population management. ARCW Pharmacy is an ACHC accredited specialty pharmacy and pharmacists document care plans within a shared medical record across case management and the medical, dental and behavioral health clinics. Residents will have opportunities to expand collaborative practice agreements in primary care (asthma/COPD, diabetes, hypertension, etc. ), educate and monitor HIV therapy, grow telehealth initiatives, and develop population health initiatives across all 4 clinic sites in Wisconsin. The resident will be supported by experienced pharmacists from 2 pharmacy locations (Madison and Milwaukee), trained pharmacy staff, as well as other medical professionals including physicians, nurse practitioners, nurses, licensed social workers and case managers.